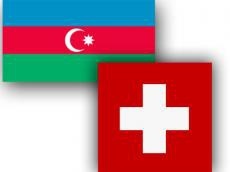 Azerbaijan and Switzerland have good potential to expand trade relations, the Swiss Federal Council told Trend. "Trade turnover equaled to $200 million in 2017 which is lower than in previous years. So, there is certainly a good potential to expand trade exchange and there is no doubt that the existing level of bilateral relations will contribute to increase the trade turnover further," said the Federal Council. The Swiss Federal Council also touched upon the reforms being held in Azerbaijan for economic diversification. "We understand that Azerbaijan is engaged in reforms to diversify the economy and expand the non-oil sector. The subsequent increase of export, particularly in the field of agriculture products, is already visible. If these reforms are continued, the trade balance of Azerbaijan will continue to improve. Business delegations and governmental contacts at high level offer new chances to the private sector to identify business opportunities."